On state television, the vocational education centre in China’s far west looked like a modern school where happy students studied Mandarin, brushed up their job skills, and pursued hobbies such as sports and folk dance. 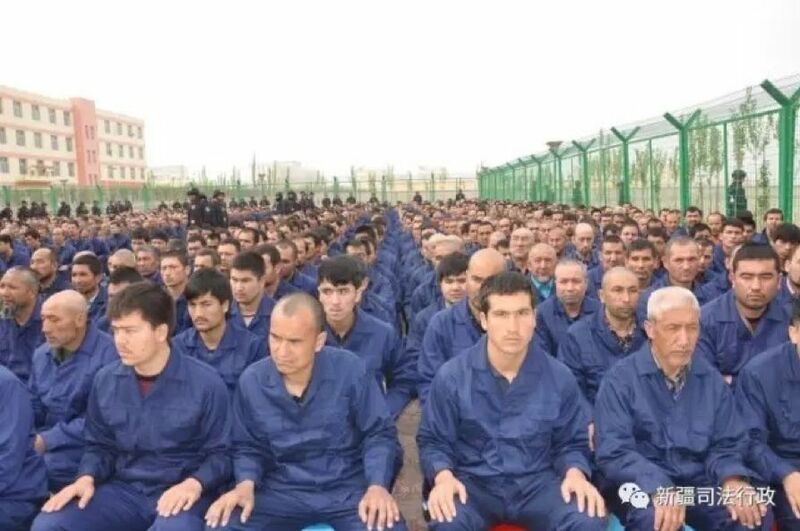 But earlier this year, one of the local government departments in charge of such facilities in Xinjiang’s Hotan prefecture made several purchases that had little to do with education: 2,768 police batons, 550 electric cattle prods, 1,367 pairs of handcuffs, and 2,792 cans of pepper spray. The shopping list was among over a thousand procurement requests made by local governments in the Xinjiang region since early 2017 related to the construction and management of a sprawling system of “vocational education and training centres”. 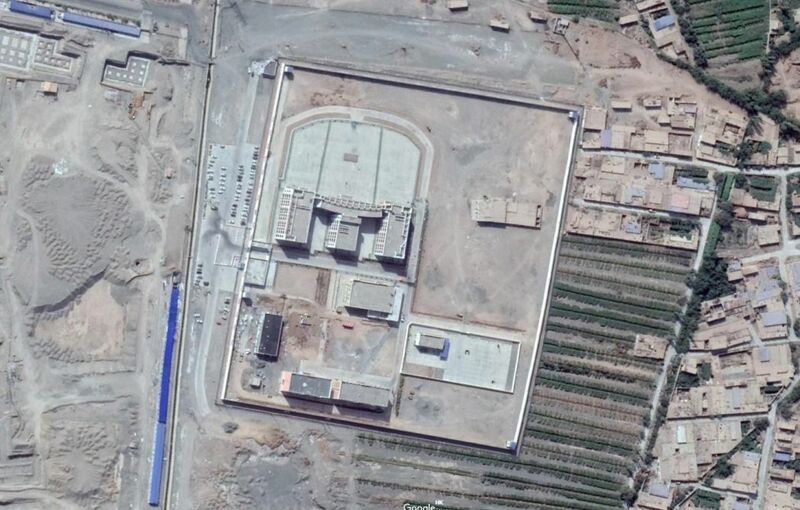 The facilities have come under international scrutiny, with rights activists describing them as political re-education camps holding as many as one million ethnic Uighurs and other Muslim minorities. 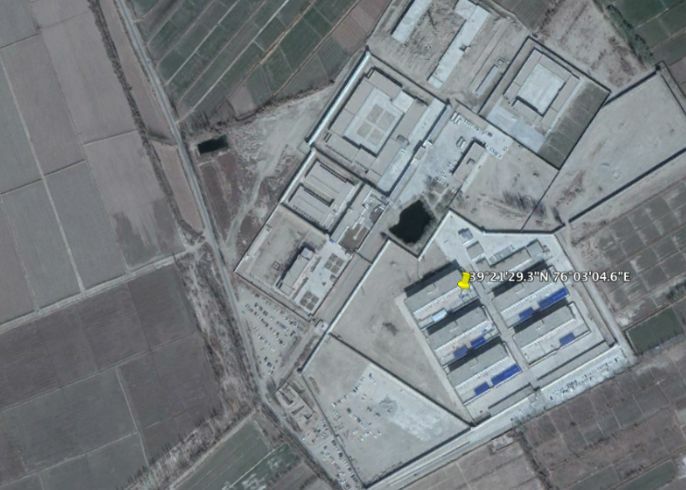 Satellite Imagery of Xinjiang “Re-education Camp” No.36 in Turpan. Photo: Google Earth. Beijing had previously denied their existence. But a global outcry, including from the UN and the US, sparked a PR counter-offensive. Government propaganda insisted the centres were aimed at countering the spread of separatism, terrorism and religious extremism through “free” education and job training. However, an AFP examination of more than 1,500 publicly available government documents –- ranging from tenders and budgets to official work reports — shows the centres are run more like jails than schools. Thousands of guards equipped with tear gas, Tasers, stun guns and spiked clubs keep tight control over “students” in facilities ringed with razor wire and infrared cameras, according to the documents. The centres should “teach like a school, be managed like the military, and be defended like a prison”, said one document, quoting Xinjiang’s party secretary Chen Quanguo. To build new, better Chinese citizens, another document argued, the centres must first “break their lineage, break their roots, break their connections, and break their origins”. The centre featured on state broadcaster CCTV last week is one of at least 181 such facilities in Xinjiang, according to data collected by AFP. 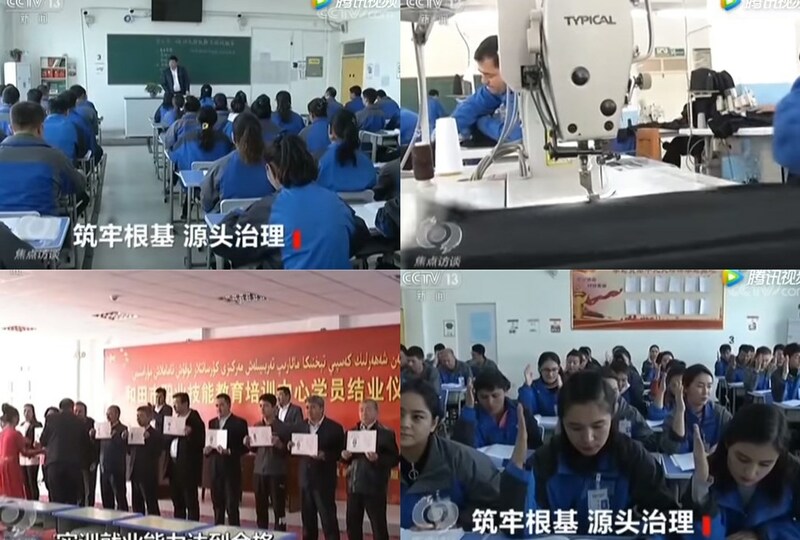 Participation is voluntary, according to CCTV, which showed contented “students” wearing matching uniforms, studying Mandarin and learning trades like knitting, weaving and baking. The centres first appeared in 2014, the year that authorities launched a new “strike hard” campaign against “terrorism” after deadly violence in Xinjiang. But the buildup began in earnest in early 2017, with local governments in predominantly Uighur southern Xinjiang ordered to speed up the construction of “concentrated educational transformation centres for focus groups” — a euphemism for the religious, the poor, the uneducated, passport holders, and virtually all men of military age. Shortly after, Xinjiang’s regional government issued regulations on managing “religious extremism”. Extremists could be hiding anywhere, officials warned, instructing cadres to be on the lookout for 25 illegal religious activities and 75 signs of extremism, including such seemingly innocuous activities as quitting smoking or buying a tent. “Detain those who should be detained to the greatest extent possible”, cadres were told. Detentions surged, catching local governments unprepared. In 2017, spending by justice bureaus throughout Xinjiang exploded, driven largely by huge outlays for building and running vocational centres. 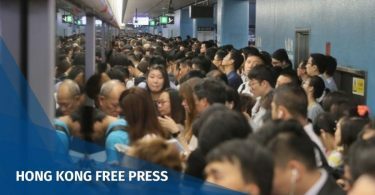 The offices spent nearly three billion yuan (US$432 million) — at least 577 percent more than planned — according to AFP’s calculations. Counties in the south closed the gap with a special fund earmarked for centres in the region. At least some of that money came directly from the Communist Party’s Central Political and Legal Affairs Commission — the group in charge of the nation’s legal authorities — budget documents showed. Around April 2017, local governments began posting a wide variety of tenders related to the facilities. Some orders — furniture, air conditioners, bunk beds, cutlery — would not seem out of place at a typical Chinese university. Xinjiang “Re-education Camp” No.3, Shule. Photo: Google Earth. But others resembled prison equipment: sophisticated surveillance systems, cameras for recording students in their rooms, razor wire, a system for eavesdropping on phone calls, and infrared monitoring devices. The centres also bought police uniforms, riot shields and helmets, pepper spray, tear gas, net guns, stun guns, electrified batons, billy clubs, spears, handcuffs and spiked clubs known as “wolf’s teeth”. At least one centre requested “tiger chairs”, a device used by Chinese police to restrain interrogation subjects. The gear was necessary, party officials in the regional capital Urumqi argued in an emergency request for Tasers, to “guarantee staff members’ personal safety”. Non-lethal weapons, it said, were important for “reducing the possibility of accidental injury in some situations where it is not necessary to use standard firearms”. 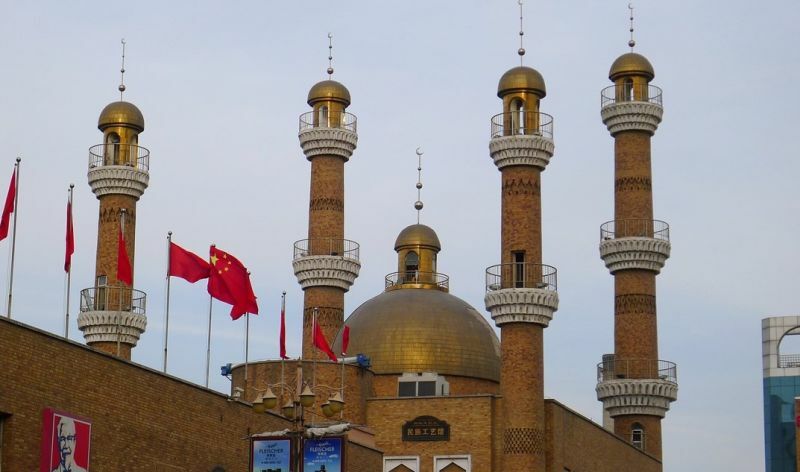 A mosque in Urumqi, Xinjiang. File photo: Max Pixel. At the end of 2017, “higher authorities” issued directions to standardise the facilities’ operations. New “vocational education and training service management bureaus” were set up, headed by officials experienced in running prisons and detention centres, according to local government websites. Students would be tested on their knowledge of Mandarin and propaganda on a weekly, monthly and “seasonal” basis, and write regular “self-criticisms”, one bureau wrote in a memo. They would spend their days “shouting slogans, singing red songs and memorising the Three Character Classic”, it said, referring to an ancient Confucian text. Their files lodged in a centralised database, students were sorted into categories based on their offences and levels of accomplishment. 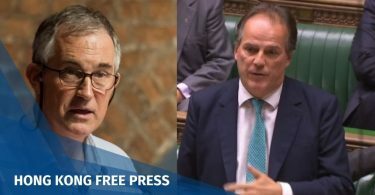 Criminals who had completed a prison sentence were released directly into the centres, under the principle of “putting untrustworthy people in a trustworthy place”. Students who performed well would be allowed to call their families or even visit them in special rooms at the centres. Officials were ordered to regularly visit students’ families at home to give them “anti-extremism” lessons and check for signs of anger that could harden into opposition to the Communist Party. The new bureaus also ensured “absolute security” against “troublemaking” in the centres, including preventing “escapes”, one local management bureau wrote in a breakdown of its duties. In addition to ex-prisoners and those charged with religious extremism, local governments were also ordered to ensure that at least one member of each household received vocational education for a minimum of one to three months — a measure ostensibly aimed at alleviating poverty in the region of 24 million. 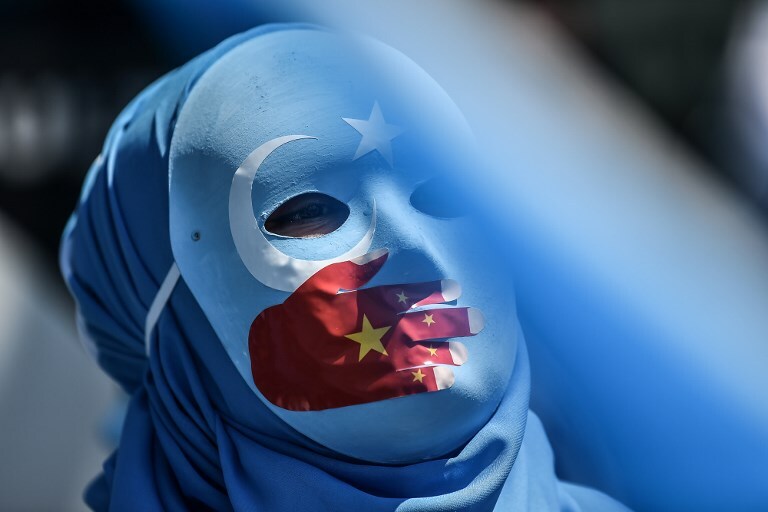 A demonstrator wearing a mask painted with the colours of the flag of East Turkestan and and a hand bearing the colours of the Chinese flag attends a protest of supporters of the mostly Muslim Uighur minority and Turkish nationalists to denounce China’s treatment of ethnic Uighur Muslims during a deadly riot in July 2009 in Urumqi, in front of the Chinese consulate in Istanbul, on July 5, 2018. Photo: Ozan Kose/AFP. While China has rejected estimates that upwards of one million are held in the centres, tender documents hint at huge numbers. In a one-month period in early 2018, Hotan county’s vocational education bureau, which oversees at least one centre, ordered 194,000 Chinese language practice books. And 11,310 pairs of shoes.